Home › Frugal Vegan › Is Your Nutritional Yeast Actually … Nutritious? Is Your Nutritional Yeast Actually … Nutritious? We vegans love our nutritional yeast – often affectionately referred to as “nooch.” The yellow flakes give a savory, slightly cheesy flavor to everything from popcorn to “cheese” grits to corn chowder to “mac and nooch.” Vegans who don’t like taking vitamin supplements often rely on nutritional yeast as their main source of B12. And, even though I personally take a B12 supplement, I’ve always felt good about the extra pop of B vitamins nooch added to my food. 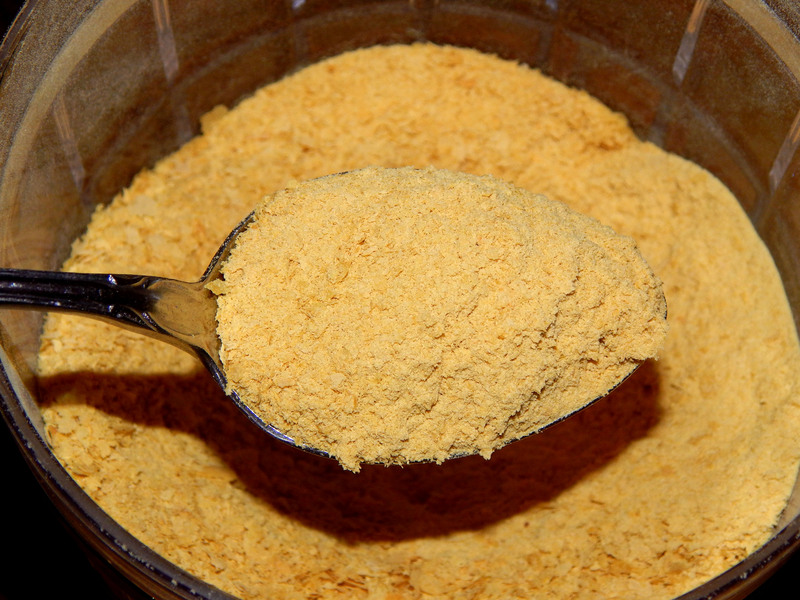 Not all nutritional yeast actually contains B12. I was flabbergasted when my friend Jessica, who’s studying to become an R.D., shared that tidbit of information with me. I’d always assumed “nutritional yeast was nutritional yeast was nutritional yeast” and that every brand had B12. That the only variables were taste and price. I thought I was being frugal scooping out nutritional yeast from the bulk bins, but at least part of the time I didn’t get the nutrition I was paying for. It had never occurred to me that I needed to be checking the labels on the bins for B12! Did you know … After age 50, EVERYONE is advised to take a B12 supplement, as our ability to absorb this vitamin is compromised with age. Others who should consider supplementing include anyone with a digestive disease or disorder, and pregnant or lactating mothers. In addition to checking the labels on bulk bins, it’s wise to check and compare the labels on name-brand bottles and bags. I’ve found the B12 range can vary quite a bit. Those of us who take a supplement have a little flexibility to choose our nooch based on price and taste. Vegans who don’t take supplements and rely heavily on nutritional yeast and fortified foods for B12 might want to compare products a little more closely. Here is the information for three popular brands of nutritional yeast. Serving size varies – from 1 Tablespoon to 1/4 Cup (4 Tablespoons)! Keep that in mind when comparing products at the store. Here I’ve converted to a serving size of 1 Tablespoon. One final note: Nutritional Yeast can be damaged by sunlight, so protect your investment by storing in a cool, dark place (your cupboard, not your counter top). Are you new to nutritional yeast? 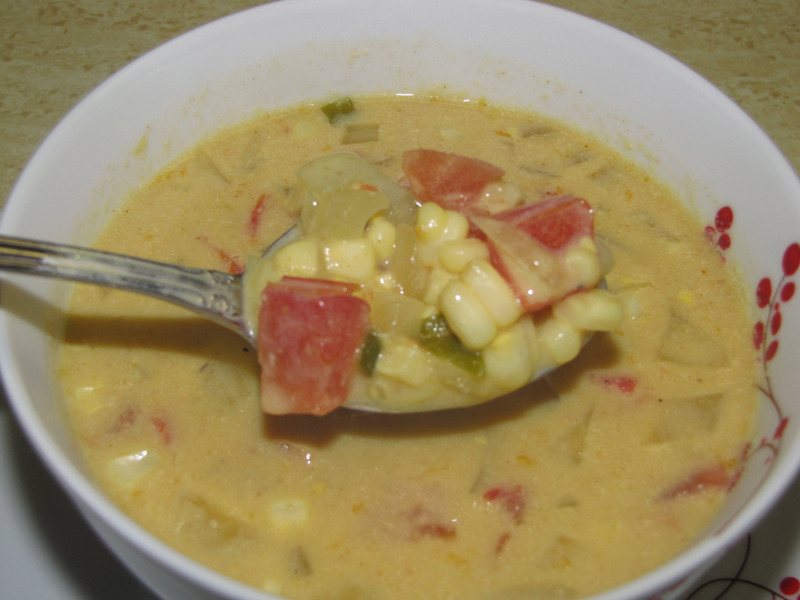 Here’s a great summer corn chowder recipe to get you started! Who knew?!!? Thanks so much for the tip off! You’re welcome! 🙂 I certainly didn’t know, so I figured many others probably didn’t, either! Interesting! Thanks for the share! I will be sure to check for B12 when I buy it. You’re welcome! Yes … one more label to read when we shop! Haha! So true. Thank you! OH MY GOSH. WHY???? I feel like I have to be the food police at every turn. This is such good information. I am going to reblog with your permission. Like everything else, not all nutritional yeasts are created equal. Nutritional yeast, with or without the B-12, which has to be added, has a number of nutrients, including protein, which is one of the reasons I use it in my smoothies and some of my recipes, but it’s definitely true that not all nutritional yeast has the B-12 added. Ironically, I actually prefer nooch without the B-12 and have a hard time finding it! Such is life. Informative article. Thank you for the research and for breaking down the B-12 DV on each brand you found. Sharing this on my social media pages, with gratitude.